IF YOU'VE BEEN SEARCHING FOR THE PERFECT PLACE WITH PLENTY OF SPACE, THIS IS IT! 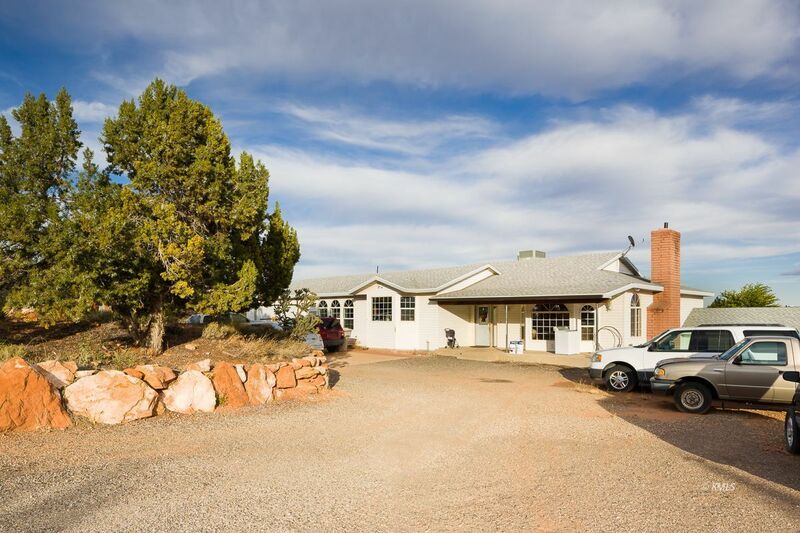 Built on 2.2 acres and zoned for horses, stands this beauty of a home with an attached 2 car garage, covered front porch, and a stunning view of the mountains! This gem has plenty of storage space both, inside and outside! In fact, the enormous backyard includes a shed/ shop with additional covered storage for outdoor toys or whatever your heart desires! The home itself is impressive! You'll fall in love with the elegant yet inviting front room that's full of charm! Wait until you see this spacious kitchen with its vaulted ceiling, custom built cabinets, large counter space, three sinks, double oven, room for two refrigerators, and huge window that invites in a kiss of sunshine! This treasured home even includes a half kitchen downstairs w/ huge family room and woodstove! If you appreciate the value of having an incredible storage room, super laundry area, bay windows, tiled bathrooms, recently installed HVAC, quality shingles on the roof, and so much more, this absolutely is a must see! There's plenty of room to entertain your dreams, your friends, & family with ease! Buyer to Verify All!